It can be difficult to decide on what type of fireplace you may want. It is because there are several choices. One of these is the gas fireplace. In order to make a decision of this type, you have to know what the benefits are. As with any fireplace, one wants to be able to control the flames and the amount of heat being produced. This can be difficult with wood burning fireplaces. However, it is not an issue with gas fireplaces. There is usually a remote control that allows for the control of the flame which is done through the gas flow. It is just a matter of adjusting the gas flow to get the appropriate amount of flame that one desires. A lot of people are now concerned about the environment. Wood burning fireplaces are not considered to be a good choice for this purpose. However, it has been shown that a gas fireplace is much kinder to the environment. The gas fireplace brings all of the benefits that a traditional fireplace does. What it does not bring is a heavy cleaning regime. There is no ash and soot to worry about, and it usually just takes a thorough dusting once in a while. Aside from being able to control the heat, being able to shut off the gas source easily is another benefit. If the room becomes too warm, it’s just a matter of simply turning the gas supply off. There is no having to wait until the fire burns down as there is with the traditional fireplaces. 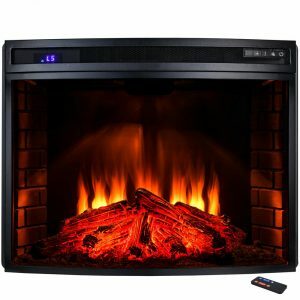 Another wonderful benefit that comes with the gas fireplace is the option to choose from many different styles. There are some that are freestanding and others that have mantels.